Posted On April 21, 2015 by Team iCynosure. When I first heard about #fame, I wondered what it would be. As I scrolled through their site I realised the folks behind the concept were building a movement of sorts for fashion and beauty enthusiasts like me. With the Digital World becoming the most powerful tool today, the talent on it definitely are the most influential individuals. These experts do what they love and prosper to liv their #fame. Venturing into various genres of the digital entertainment segment #fame invites talented individuals to join their forces and grow with them building a community of like-minded people. #Fame provides a platform, a network that provides an equal opportunity to everyone whatever is their interest. Inspiring partnerships #fame offers access to create, curate, communicate and capitalize your ideas and show them to the world. One such amazing initiative is the Lakmé School of Style. Known as one of the pioneers in the Indian beauty industry scenario Lakmé is now creating a legacy of style and beauty for new age enthusiasts. As things keep changing in the fashion and beauty industry all around the world, Lakmé is striving to bring these trends to the Indian masses via the #fame #LakméSchoolOfStyle. India’s first fashion-beauty video channel brings in perspective not only from the movers and shakers of the industry, but also from the view point of normal everyday people. Celebrities, Designers, Stylists, Bloggers and Vloggers contribute towards the channel via short refreshing and interesting fashion, make-up, beauty and relationships videos. While browsing through the videos I chanced upon a really great video by Shivan & Narresh where they talk about how to sculpt your body with the right swimwear. I have sure benefitted from this video in identifying my body type and picking the right swimsuits that would enhance me. Just to think I've been picking the wrong swimwear until now and doing it all wrong. Rest assured now coming from the custodians of India’s first luxury swimwear brand, Shivan & Narresh who aim at making swimsuit an active part of the Indian wardrobe, I'm going to be picking the right stuff. A great informative video sure helps to make a splash by the beach-side. 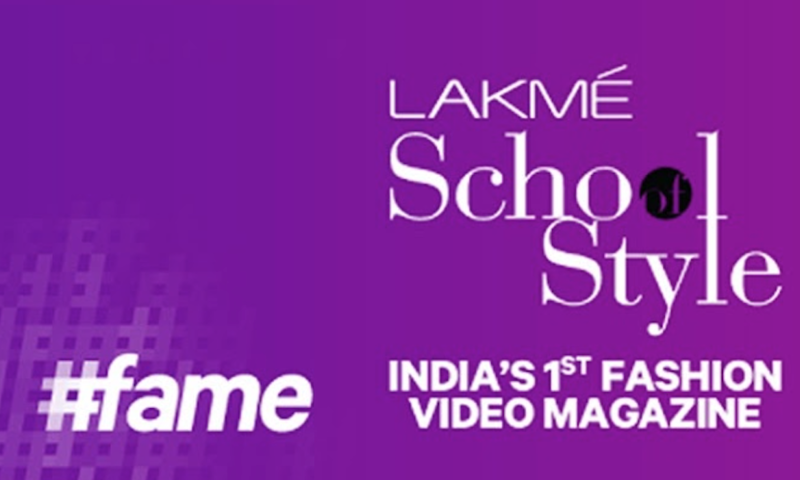 What really sets the #fame #LakmeSchoolofStyle apart from other numerous channels is the versatility in content that comes straight from the experts. You should definitely check it out to stay abreast with what’s happening in the Fashion and Beauty world.